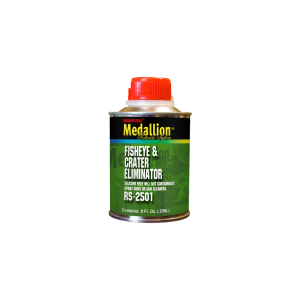 A universal fisheye eliminator that works in all acrylic or polyurethane topcoat finishes. RS-2501 helps eliminate annoying surface craters or other surface imperfections for a clean OEM look finish. It is silicone free and will not contaminate paint guns or paint gun washers. Packaged in 8 oz. can. If interested, submit a resume, cover letter (not required), and a short description of personal qualifications.